On the journey to meet your customer experience and organizational goals it is essential that you can judge where you are at as well as where you are going. A contact center audit provides that assessment, guides your journey, identifies needed corrections. The audit can become your roadmap to achieve your goals. 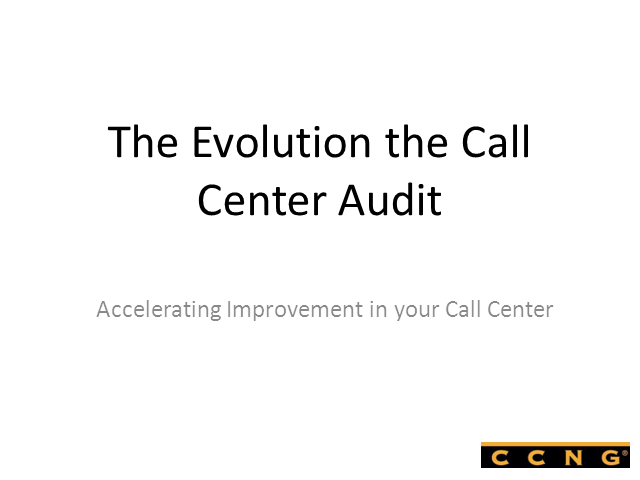 This webinar reviews the purpose and goals of a call or contact center audit, examines the most common methods employed and provides guidance to the center operator to gauge performance, benchmark to their own centers, peer centers and best practice operators.